I am not sure why but sometimes it is the simple things that taste so dang yummy. Like for instance I can seriously eat an entire batch of this Sweet and Cruncy Munch Mix. 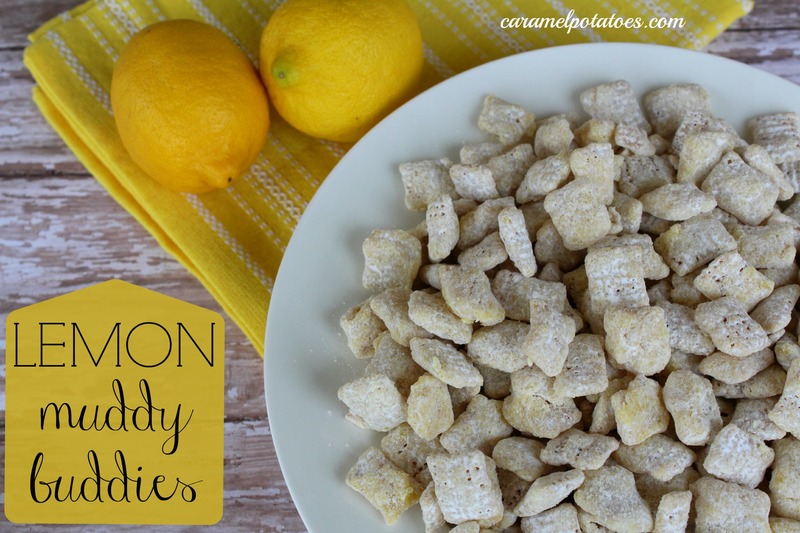 There must be something about these cereal treats that I can’t resist, because I had to hide the rest of these Lemon Muddy Buddies from my sight before I ate the entire batch. They are that good. I had to laugh though, because as I was making it my eight year old was in the kitchen hanging around and kept saying “Are you sure this is going to be good?” Lets just say that she couldn’t keep her hands out of the bowl once it was done either. She was literally like the saucepan. In a small saucepan combine butter, white chocolate chips and sweetened condensed milk over medium heat. Continue stirring until smooth, add the pudding mix and stir to combine. Remove from heat and stir in the vanilla. Pour over cereal and carefully stir to coat. 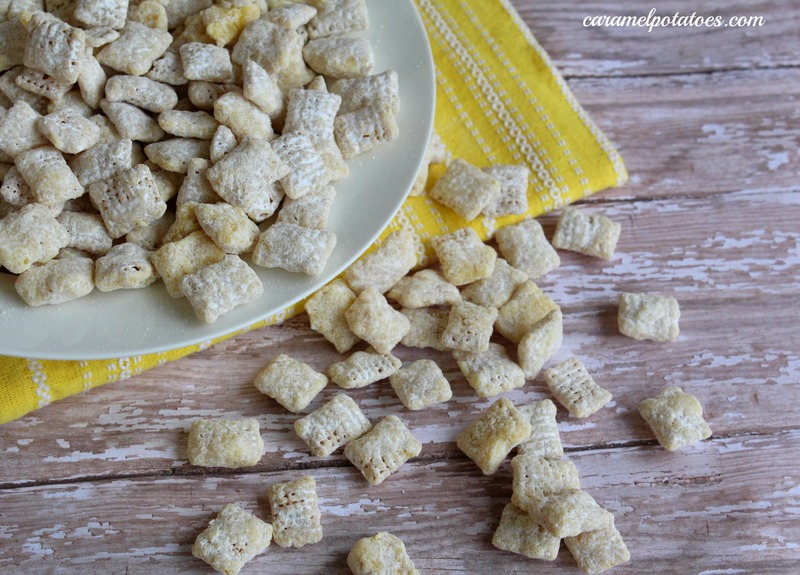 Toss with powdered sugar. These look so good. I love lemon.